Singaporeans are guilty of clocking in more hours at work than they should. And as much as we pretend to hate it, many of us secretly love the hustle. And besides, sleep is for the weak. Despite our long hours, us millennials still know how to enjoy life at the end of the day, by having hump day drinks and late-night dinner dates with our friends. 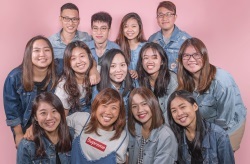 If you’re looking for a snazzy place for a catch-up with your fellow OT warriors, check out these 10 supper deals with up to 50% off using Chope Deals’ off-peak vouchers! Located an alley away from the CBD’s snazziest street, Telok Ayer, is fȳr. A vibrant space where office workers hang out at for after-work drinks, the modern Asian-European grill house pushes out scrumptious small plates that are great for a light supper. Dishes we absolutely adore are their Duck Foie Gras ($16++ for small, $26++ for large) and Freshwater Prawns ($22++ for three, $36++ for five pieces) with prawn jus, saffron rouille and lemon dust. Save money for your cab fare home by pre-purchasing Chope Deals’ 50% off cash vouchers when you dine here! Note: The day and time listed refer to the start of your reservation time and not the dining duration. Celebrate the end of work with a seafood feast at JUMBO Seafood Gallery! 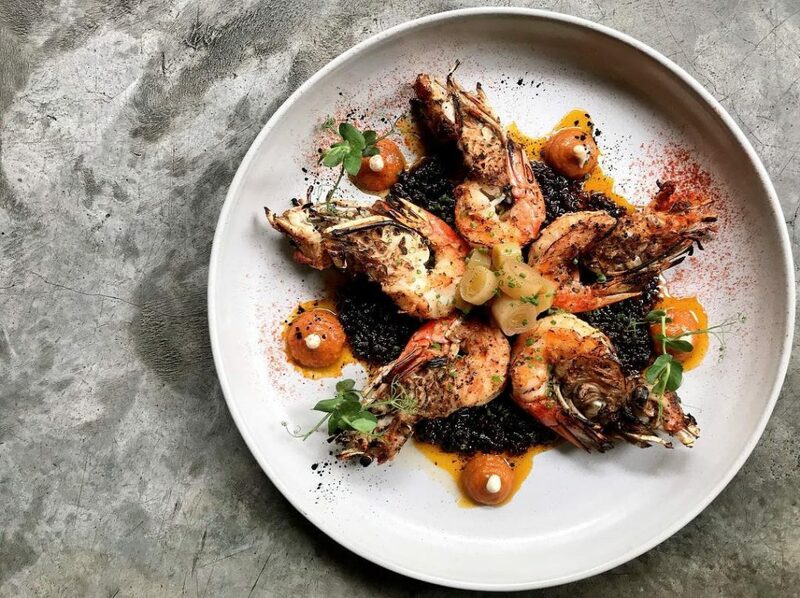 Boasting a scenic view of the Singapore River, the restaurant doles out bounties of quality ocean gems, from Australian lobsters to Alaskan crabs. Prepared multiple ways is their Live Crab (seasonal price). Get it with Pepper and Spiced Salt, Black Pepper or Steamed with Soya Milk and Egg White. A dish that promises to tantalise your taste buds is their Wok-fried Deshelled Prawns with Golden Salted Egg (26++ for small, $39++ for medium, $52++ for large). Avoid bill-shock when dining here by clinching Chope Deals’ off-peak vouchers, which gives you 50% off! 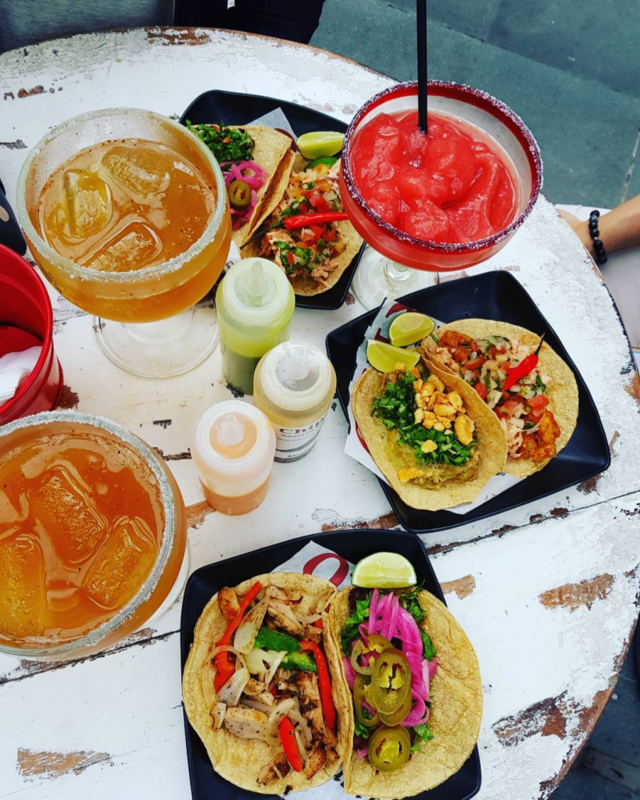 A live Latin band entertains you while you tuck into an array of Mexican food at Señor Taco. Situated right in the heart of Clarke Quay, this joint is great if you’re looking for a lively atmosphere to loosen up after work. Simple yet delicious is their Al Pastor ($7++), where spit-roasted pork or chicken, complemented by pineapple, onion and coriander, is served on two four-inch corn tortillas. Punch up the flavours further by dousing your tacos in their complimentary hot sauces. Using Chope Deals’ 50% off cash vouchers means your meal here will only cost you a fraction of the actual price! Squeeze in a quick date after work with your beau and head to The Halia at Singapore Botanic Gardens. The gorgeous garden restaurant exudes romance, and will definitely draw in the oohs and ahhs from your beloved. Elegant European creations are highlighted by Asian ingredients, and a light appetiser to start your meal with is their Pan-fried Halloumi ($12++) comprising ginger flower dressing, smoked capiscum and Korean chilli. 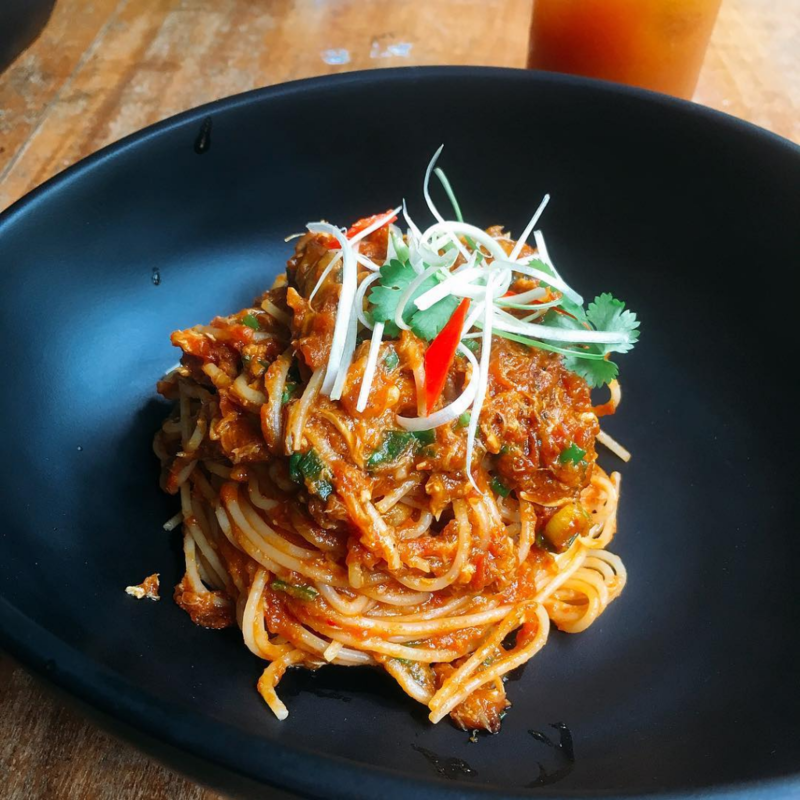 Complete your meal by ordering Halia’s Singapore-style Chilli Crab Spaghettini ($26++) – a highly raved dish that’s certain to hit the spot. Dining late has its benefits, as Chope Deals’ off-peak cash vouchers give you 50% off! The Halia is a halal-certified restaurant. Late nights at work mean we seldom enjoy wholesome, home-cooked food. And while nothing beats having a meal peppered with mother’s love, Plentyfull comes close to serving up a homely meal. Using only fresh ingredients, everything here is made from scratch and without any preservatives. Come with your colleagues and order a few small plates, such as their Spicy Hua Jiao Winglets ($8++) and Tofu Caprese, Plum Tomatoes & Crispies ($8++) to share. You’re guaranteed 35% off when you purchase Chope Deals’ off-peak vouchers before making your way down here! Opened since 1977 at Taipei, Shin Yeh specialises in traditional Taiwanese grub. The outlet in Singapore offers six private dining rooms within the 300-seater space, and some rooms come equipped with karaoke facilities, making it great for get-togethers. 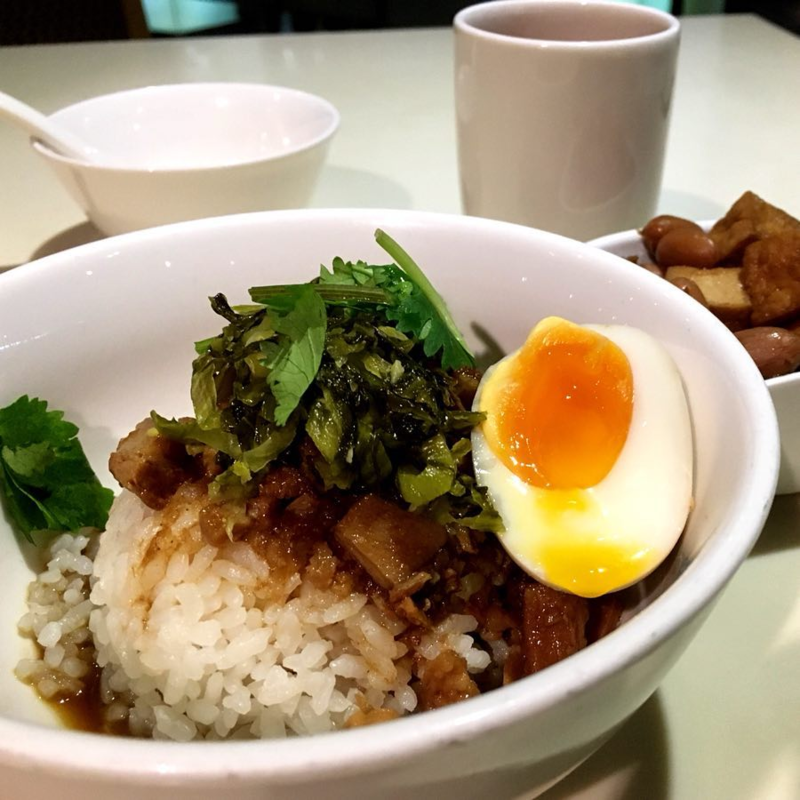 Fuel up after a hard day’s night with dishes such as Braised ‘Mee Sua’ with Oysters and Pig’s Intestines ($8++ per person, $22++ for four people) as well as Taiwan-style Rice with Soya Sauce Lean Pork ($6++), which is more commonly known as lu rou fan. Nothing sounds better than half-priced items, and with Chope Deals’ 50% off cash vouchers, you can expect exactly that! It’s a known fact that many young married couples live in Punggol, because #BTO. 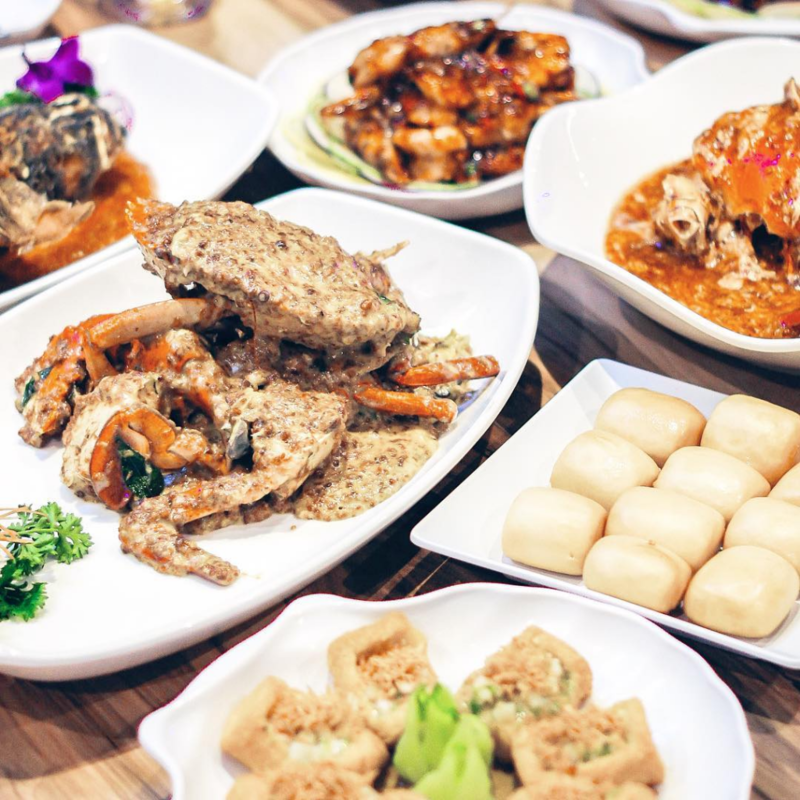 If you’re rushing home after a late night and looking for somewhere good to eat, check out Uncle Leong Seafood. While they are famous for their seafood dishes, their noodles and rice dishes are just as delicious. Satiate your hunger with their Longevity Noodles ($10++ for small, $15++ for medium, $30++ for large). Loaded with vegetables, prawns and minced pork, as well as a thick savoury broth, this dish is the ultimate comfort food. Make this an even more value-for-money meal with Chope Deals’ 50% off cash vouchers. 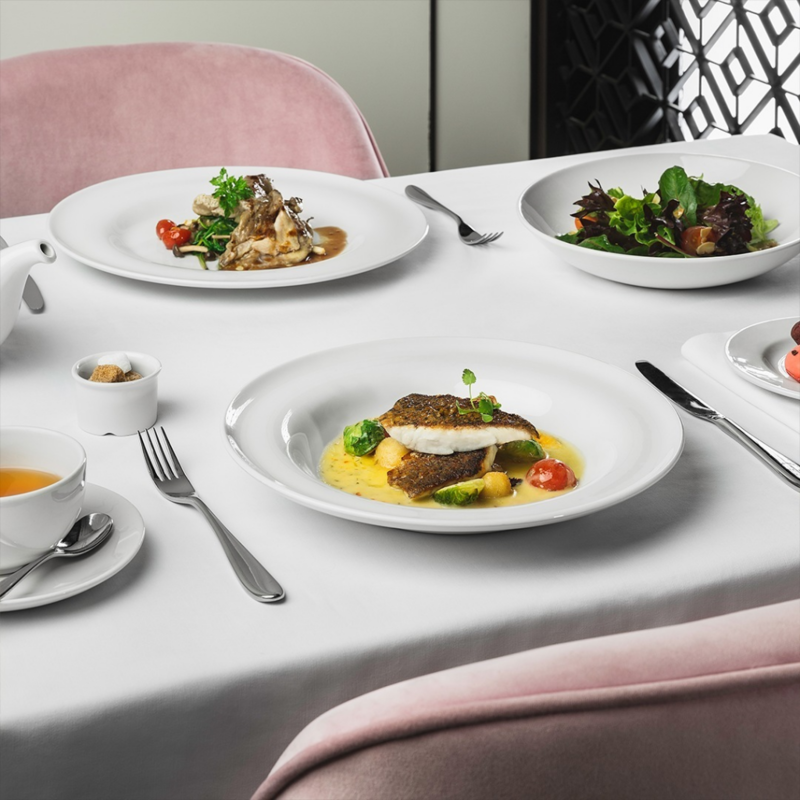 With its neoclassical interior, black-and-white Peranakan tiles, and plush pastel pink chairs, Tablescape Restaurant & Bar is one of the most beautiful restaurants in town. It’s a great venue to impress your date, and the mains on their a la carte menu won’t break the bank too. Pillowy-soft, their Potato Gnocchi with Mushroom Ragout ($24++) is delightfully moreish. Alternatively, sink your teeth into their Premium Wagyu Beef Burger ($28++) that’s accompanied by Cheddar, caramelised onions and barbecue sauce. You don’t have to wait until payday to dine here, as Chope Deals’ off-peak cash vouchers grant you 35% off. If you’re driving, check out Morsels at Dempsey. 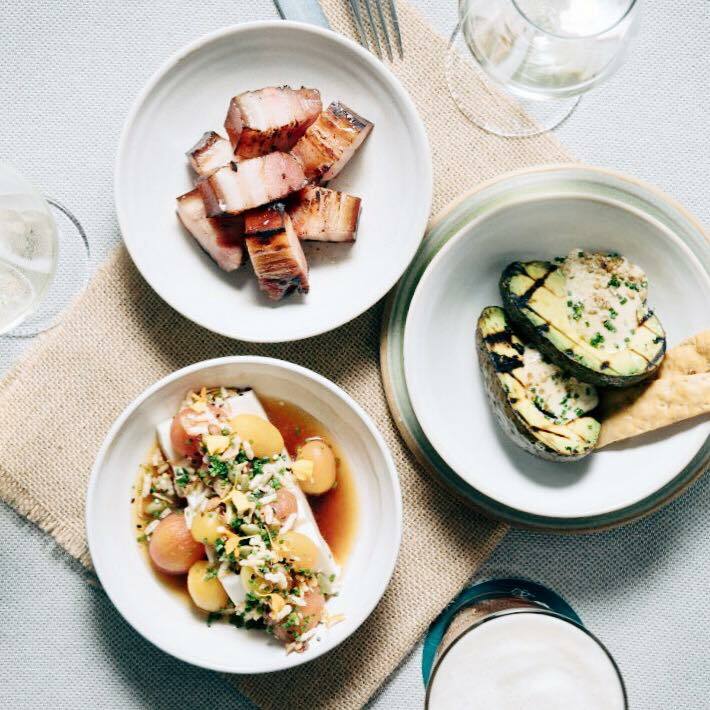 Leading the kitchen is the talented chef Petrina Loh, who is known for using fermentation, curing and aging techniques to conjure up progressive dishes. Her sharing menu starts at $85++ per person, and comes with two snacks, four small plates, a carb, one main and a dessert to end things off. 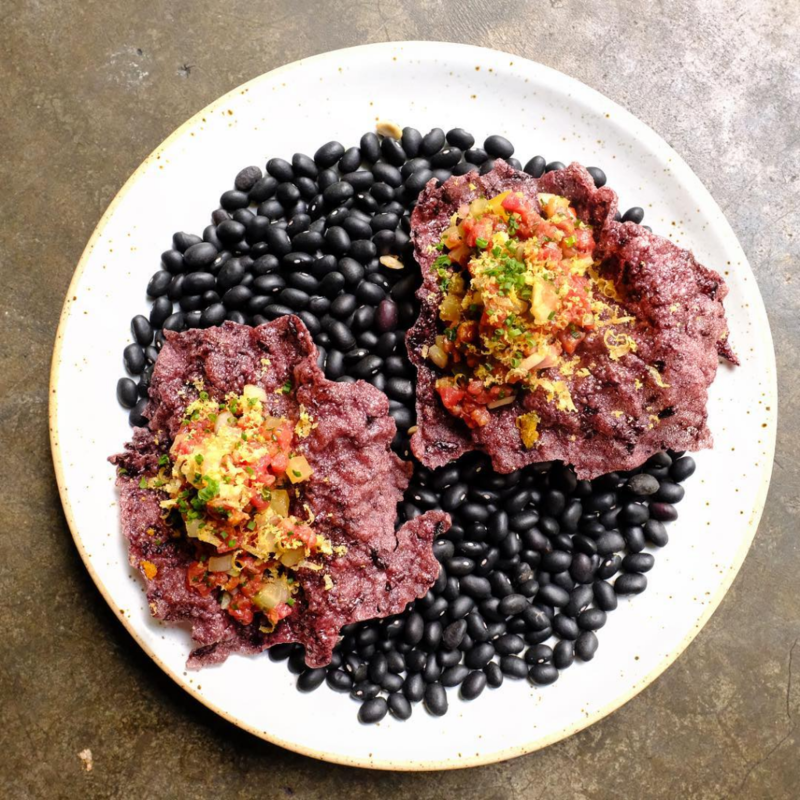 Dishes that receive our nod of approval include the Rendang Beef Tartare and House-poached Octopus with squid ink risotto and salted egg sauce. Ease the burden on your wallet and secure 25% off when you buy Chope Deals’ off-peak cash vouchers. No introduction is needed for TungLok Signatures. Established in 1984, the homegrown Chinese restaurant is best known for their moreish zi char dishes. Savour dishes such as their piquant TungLok’s Signature Curry Prawn ($28++) with fried bun. 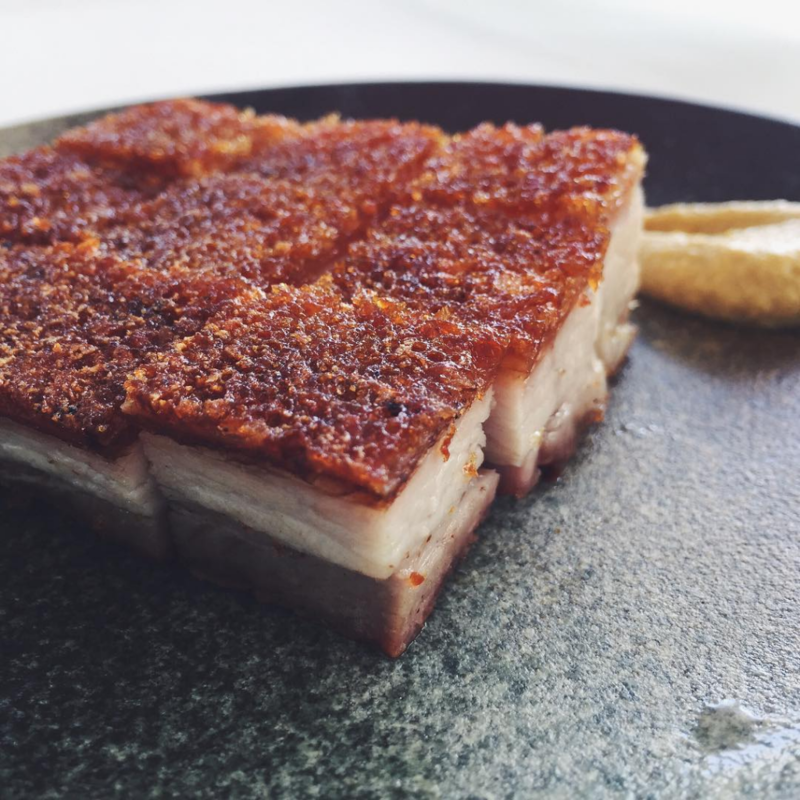 Highlighted by a crackling skin is their Crispy Roast Pork Belly ($12++). 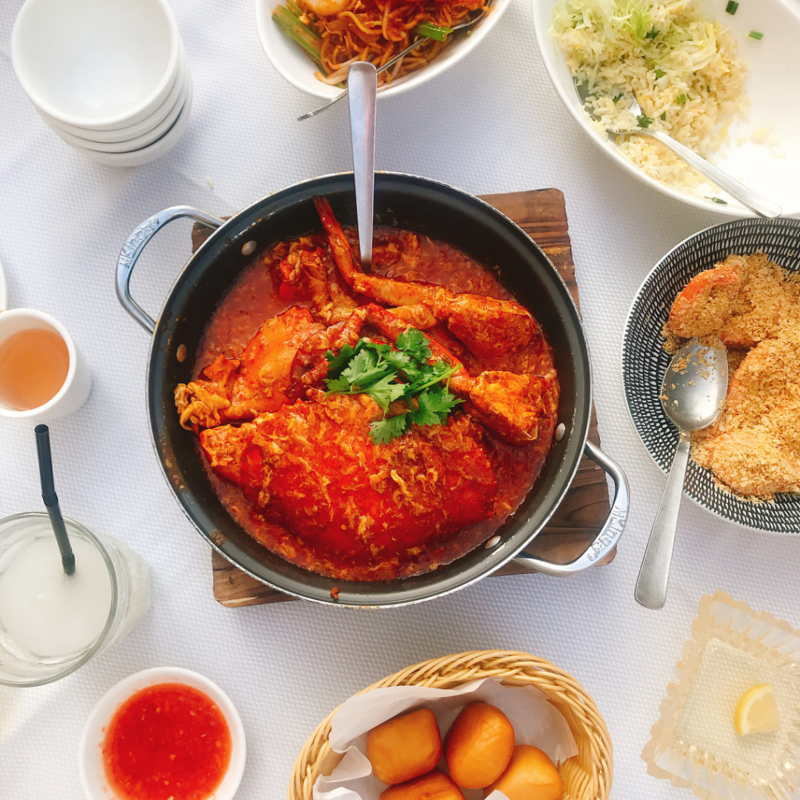 For seafood lovers, go ahead and order their Signature Crab ($58++ per 700g), which comes served in curry, white pepper, or chilli sauce. 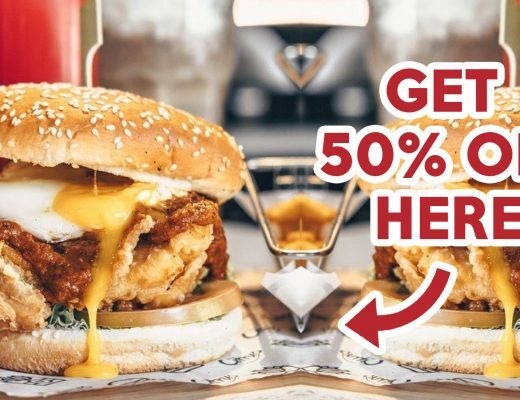 Pre-purchase Chope Deals’ 50% off cash vouchers for a value-for-money meal! It is definitely easier to get through a long work day knowing a sumptuous meal awaits at the end of it. And with Chope Deals’ off-peak cash vouchers offering up to 50% off, you can treat yourself to a feast without burning a hole in your pocket. 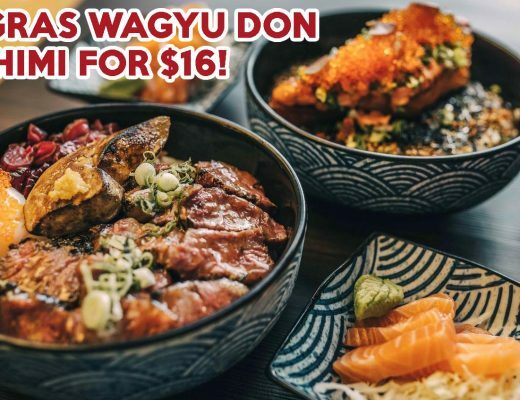 So before you rally your fellow OT warriors for a makan session after work, be sure to scroll through Chope, or download the Chope app, for the best steals first! 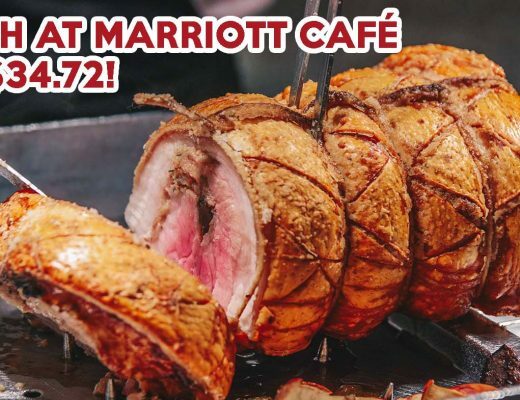 Uncover the full list of dining deals on Chope!